Soaking nuts, legumes, seeds and grains reduces phytic acid. Improve digestion and increase absorption of nutrients from nuts, legumes, seeds and grains by reducing phytic acid, or phytate. Phytates are located in the outer hull or bran of these foods to prevent premature sprouting in nature. 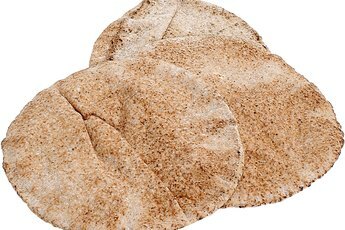 Unfortunately, upon ingestion, phytates can block absorption of important minerals such as zinc, iron, phosphorus and magnesium. Phytase is the enzyme also present in nuts, legumes, seeds and grains which -- when properly activated -- neutralizes phytates. Soaking and sprouting are two simple processes that activate phytase and reduce phytate levels. Before making your next trail mix or lentil stew, pick a corner counter top in your kitchen and start soaking. Fill a glass jar three-quarters full of nuts, legumes, seeds or grains. A 1-quart mason jar works well for this process. Do not mix nuts with legumes, seeds or grains to soak, since each item requires different soaking times. Add lukewarm water to the jar containing the nuts, legumes, seeds or grains. Add an acid medium to the jar to act as a catalyst for phytase to be released. Dairy-based acids such as whole-milk yogurt, cultured buttermilk or whey are options. Nondairy acid medium choices include raw apple cider vinegar, lemon juice and water or coconut milk kefir. Use 1 teaspoon of acid medium per cup of water added to the jar. Cover the jar and allow the contents to soak for 12 hours, or overnight. This amount of time is usually sufficient for seeds. Seeds may be dehydrated or roasted if they are to be preserved for any amount of time. Empty the jar’s contents into a colander and rinse with running water. Add fresh, lukewarm water and a small amount of acid medium to the jar. Then transfer the nuts, legumes or grains back into the jar. Cover the jar and allow the nuts, legumes or grains to soak for another 12 hours. Afterward, rinse using a colander and running water. 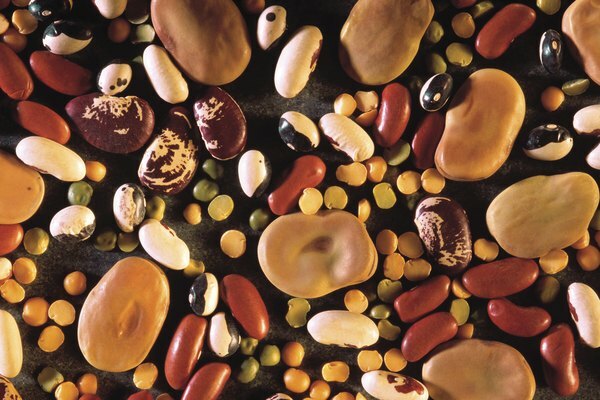 At this point, grains and legumes are ready for cooking. Dehydrate soaked nuts or seeds to the desired crispiness using a food dehydrator or an oven. If you are using an oven, use a very low temperature and check them frequently to prevent scorching. After dehydrating until they are crispy, store nuts or seeds in an airtight container in the refrigerator for approximately 14 to 21 days. Sprout soaked nuts and seeds by spreading them on a baking sheet and allowing them to air-dry in a warm area. You will be able to see a visible sprout on one end of the nut or seed after two hours. Use whole, soaked nuts and seeds in trail mixes or grind them into nut or seed meal for use in baked goods. Roast dehydrated nuts with added honey, cinnamon and salt to make a healthy snack. 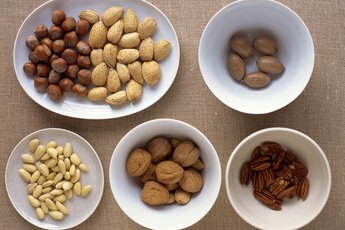 Soaked nuts and seeds may go rancid quickly. Preserve their quality by storing them in the refrigerator.